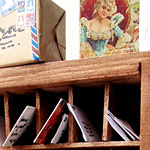 Tiny little postage and package labels. Coordinates with the Little Letters Collage Sheet. 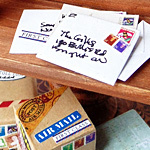 Exclusive to Alpha Stamps by Nichola Battilana. 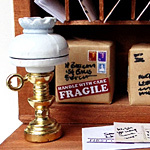 Mini Mail Room by Nichola Battilana. See the Supply List.